In southern Alsace, Sentheim is home to the hills of the Vosges often formed of limestone and rock in which water hollow caves over thousands of years. The valley of the Doller contains one of the few caves in Alsace, the Cave of Wolfloch or Trou du Loup. Access to the cave was built by the House of Geology and Environment with the creation of the Wolfloch geological trail. The trail is 5-kilometer long, and can be traversed in three hours. During the walk, you can see rocks from palaeozoic era, mesozoic era, tertiary era, and quaternary era. The House of Geology and Environment of Mulhouse invites you to enter the world of geology through its collection of fossils and minerals that tell 350 million years of history of the Earth. At the end of the trail, exploration of the cave can begin. Accompanied by guides, and on reservation, visitors, equipped with headlamps or flashlights, come down into a cave at a constant temperature, summer and winter, (11 to 12 °C). The entrance is a staircase descent of about twenty meters leading to a corridor. This one, also twenty-meter long, leads to the main room from which start axial galleries, difficult to access . At the end of the trail, there is a 8-meter outcrop. At the heart of the cave, there are yellowish rocks and numerous fossils. General Public: Free visit, brochure available at the museum, every first Sunday of the month from 2pm to 18pm. For groups (more than 10 people): Visit must be accompanied by a guide. Reservation by : e-mail. Tour: 5 € / adult. Free for children under 16 accompanied by their parents. Info: Located in the town of Sentheim in the Alsace region, Hôtel Au Vieux Tilleul offers free Wi-Fi access throughout the hotel, a bar and a restaurant. Free parking is available on site with no prior reservation. Info: This hotel is situated in Bourbach-le-Bas in the heart of the Alsace region, just 9 km from Thann. It offers free private parking and guests are invited for a traditional meal in the on-site restaurant. Info: Housed in a half-timbered building, this hotel is 79 m from Masevaux Tourism Office and 5 km from Rougemont Golf Course. It offers free Wi-Fi access, a restaurant that serves regional cuisine and a bar. Info: This hotel is just 2 km from Thann and is located in the Vosges Natural Reserve. Guests can play tennis on the private tennis court and enjoy the on-site bar and restaurant. Info: This hotel is located in the Lorraine region of France a 10-minute drive from Epinal. 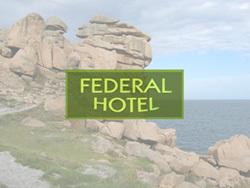 It offers free on-site parking and free Wi-Fi throughout the hotel.